The Community Partnership Exhibition Program at the Queens Museum provides opportunities for our cultural and other nonprofit organizational partners to develop and mount short-term exhibitions based on their programs and our collaborative projects. In addition, it regularly showcases the work of students in the Museum’s Department of Education programs. Organized by the AHL Foundation in collaboration with Korean Cultural Service of New York. Shades of Time: An Exhibition from the Archive of Korean American Artists, Part Two, 1989-2001 is the second exhibition organized with materials from the Archive of Korean American Artists by the AHL Foundation since 2012. This exhibition presents a group of younger generations who set up their studios and started a professional career in the late 1980s and the 1990s and include a wide range of media such as video, mixed media, computer-graphics, and installations. Curators selected about 45 artists among more than 200 Korean American artists of this generation. Selection was based on the merit of their art works and their contribution to contemporary art. The first part of the exhibition from the Archive of Korean American Artists entitled Coloring Time: An Exhibition from the Archive of Korean-American Artists, Part 1, 1955-1989 was focused on Korean artists who arrived in the US from 1955 to 1989. It had about 45 artists including Whanki Kim, Po Kim, Nam June Paik, and Ik-Joong Kang. 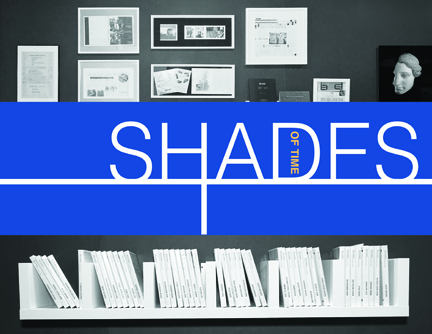 Unlike the first exhibition with chronological divisions, Shades of Time was organized thematically. The current display at Queens Museum Partnership Gallery is a third installment followed by two previous installments shown at Gallery Korea at Korean Cultural Service from April 9 to May 23, 2014. 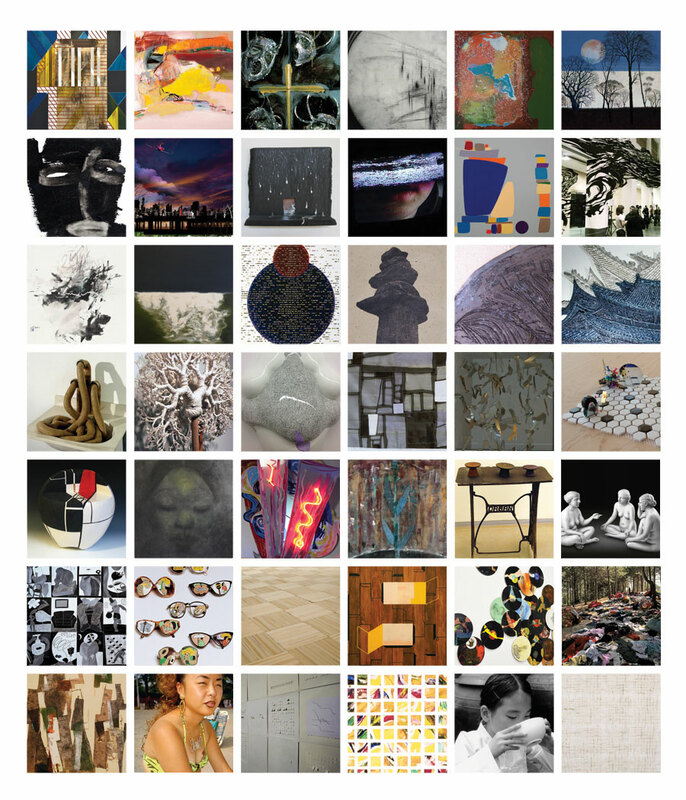 More than 40 artists are participating in the current exhibition. Along with other major archive collections such as Asian Art Archive (AAA) based in Hong Kong and Brooklyn or A Digital Archive of Asian/Asian-American Contemporary Art History (artasiamerica.org) at the Asian American Arts Centre (AAAC) in New York City’s Chinatown, The Archive of Korean-American Artists (AKAA) has become an important source in the field of contemporary art. Although other collections include some Korean or Korean-American artists, many are missing in these archives. Compelled by lack of documents and encouraged by Korean-American communities, AHL Foundation started a multi-year project of AKAA since 2012. Many records, posters, photographs, catalogues, and digital materials have been accumulated thanks to enthusiastic support of artists and collectors. This exhibition is a crucial link to connect those documents to actual works of artists of Korean heritage. The third exhibition from the Archive of Korean American Artists for artists active from 2001 to 2013 will be organized in 2015. In the 1990s, artists of Korean heritage in the US were exposed to new trends of contemporary art and many aspired to become world-renowned artists following the footsteps of Nam June Paik, Byron Kim, and Ik-Joong Kang who had opened the way. As witnesses of the 1988 Seoul Olympic Games and the fall of the Berlin Wall in 1989, this new era of artists arriving in the US from Korea in the early 1990s dreamt of a world without barriers, communicable through common artistic languages. This younger generation tested the boundaries with their innovative ideas and methods. On this new rising wave, the Korean founded the Gwangju Biennale in 1995, one of the world’s most prestigious contemporary art festivals. Asian communities in the US including Korean immigrants were fraught with racial tensions with other ethnic groups. With massive waves of Korean immigrants coming into the US in the 1980s, large Korean communities in Los Angeles and New York suffered from incidents such as the 1990 Red Apple Boycott in Brooklyn and the infamous 1992 Los Angeles Riots. In the midst of the gentrification of urban areas, artists pursued public art projects that would raise social awareness. For example, Y. David Chung’s multimedia installation titled Turtle Boat Head (1992), first displayed at the Whitney Museum of American Art, narrates the history of a Korean immigrant turned owner of an inner city convenience store interspersed with images of various moments from Korean history. An increasing number of artists experimented with mixed media installations as an outlet for their critical vision and voice. Like any other cosmopolitan citizen, artists of Korean heritage felt an urge to redefine their cultural origins within their new environment. With a fresh perspective of multiculturalism made popular in the 1990s, artists pursued a long quest to shape their unique cultural identities. Some used traditional mediums while others embraced emerging technologies. For these world citizens, both Western modernism and Asian aesthetics served as a grounding foundation for their upbringing and artistic training. Many artists started their careers in abstract oil paintings or traditional ink paintings. Nonetheless, they were also bold enough to venture out of their comfort zone and dared to incorporate a variety of objects and techniques to supplement their artistic languages. Although they used found objects or images of popular culture, their art works were related to their ethnic or cultural background as immigrant artists in the US. Like a translated word in another language, an object turns into a new art work with an altered meaning. The 100-page color catalogue for this exhibition contains scholarly essays by Heesung Cho, Kyunghee Pyun, and Alexander Rich with a bibliography, a chronological timeline and a list of important exhibitions during the period. The first exhibition from the Archive of Korean American Artists was also accompanied by the catalogue entitled Coloring Time: An Exhibition from the Archive of Korean American Artists, Part One, 1955-1989 (New York: AHL Foundation, 2013). Both catalogues are available for purchase at www.ahlfoundation.org. This is a third installment of this exhibition. Previous two installments were held at Gallery Korea, Korean Cultural Service at 460 Park Avenue in New York City, April 9 to May 23, 2014. This exhibition was made possible by AHL Foundation, Korean Cultural Service of New York, and E. Rhodes and Leona B. Carpenter Foundation. Additional Funding was provided by The New York City Department of Cultural Affairs and The Overseas Korean Foundation. Jason J. Kim of Oral Design is also gratefully acknowledged for his support and generosity. The Community Partnership Gallery at the Queens Museum provides opportunities for our cultural and other nonprofit organizational partners to develop and mount short-term exhibitions based on their programs and our collaborative projects. In addition, it regularly showcases the work of students in the Museum’s Department of Education programs.